Since I mentioned including your children in the yearbook process by having them take photos on their own, and also because I think summertime is as good a time as any to get them excited about taking pictures, I wanted to leave you with a few resources in English and Spanish on photography for children. • Possibly my favorite site is Big Learning - Photography for Kids. Not only can you find projects and articles for the aspiring young photographer, but also the history of photography and how cameras work. 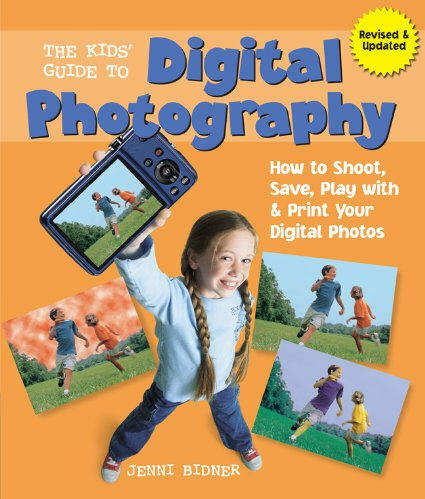 • 13 Lessons to Teach Your Child About Digital Photography - Love it! • Kodak has a page of lesson plans on photography. • Artists Helping Children has a huge list of photography crafts for kids. • XatakaFoto has a couple of good articles in Spanish: Fotografía para niños - Parte 1 and Fotografía para niños - Parte 2. • HP also has a really great web page in Spanish on how to introduce your child to digital photography - Cómo iniciar a tus hijos en la fotografía digital.